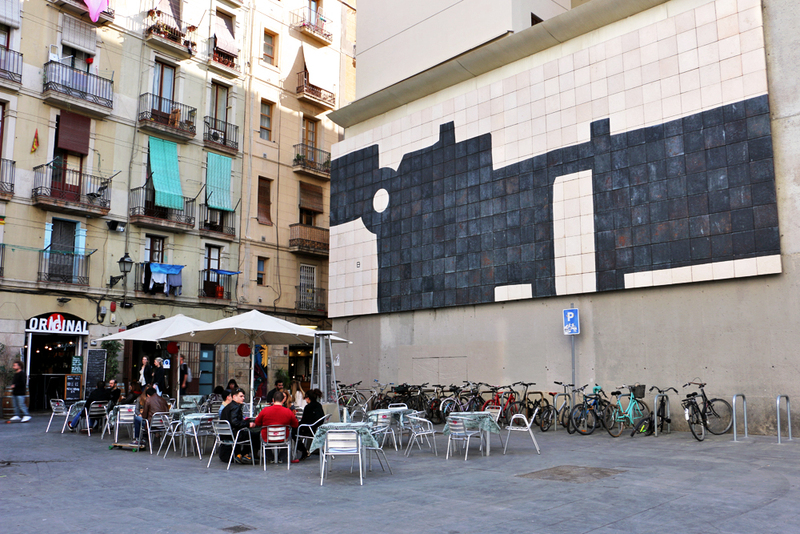 The Raval neighborhood is just steps away from Las Ramblas, but once you’ve crossed the hyper-touristy boulevard you’ll instantly know you’re in a different kind of place. 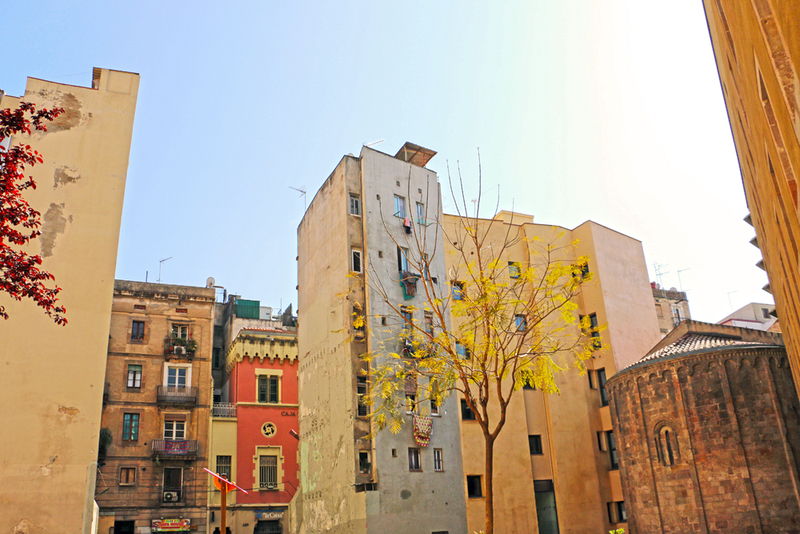 Its name comes from an old Catalan word meaning “the outskirts.” Even though it’s considered part of the city center today, it still feels quite different from the rest of Barcelona. This isn’t the touristy Gothic Quarter, stuffed full of big-name chain stores and overpriced restaurants. Maybe for the first few feet into the Raval you’ll see some, but keep pushing forward and they’ll disappear pretty quickly. Instead of frozen paellas and limp tapas being the main fare, you’re more likely to find dingy kebab shops. The Raval has a reputation for being dangerous, the kind of place you wouldn’t want to walk alone late at night, or the sort of neighborhood you’d want to live in. The danger is exaggerated, but it does look a bit grim in parts. These streets aren’t kept neat and tidy for visitors. Trash cans frequently overflow; that is, when people choose to put their trash in the bin, instead of directly onto the street. It occasionally smells bad, and sometimes looks bad too. But I’m going to ask you to keep going forward into the neighborhood, even though you might be put off by the grungy first impression. 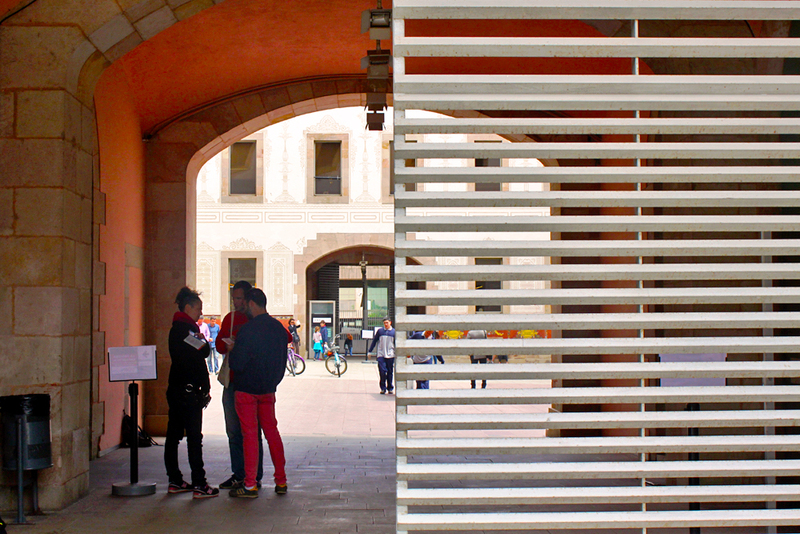 Because the Raval is actually one of Barcelona’s most interesting neighborhoods. I know, after my highly flattering initial description, I’d be surprised if anybody wanted to check out the Raval. But really, stick with me here. This is definitely a case of not judging a book by its cover. Hidden behind the shabby exterior, you’ll find an endlessly fascinating district. 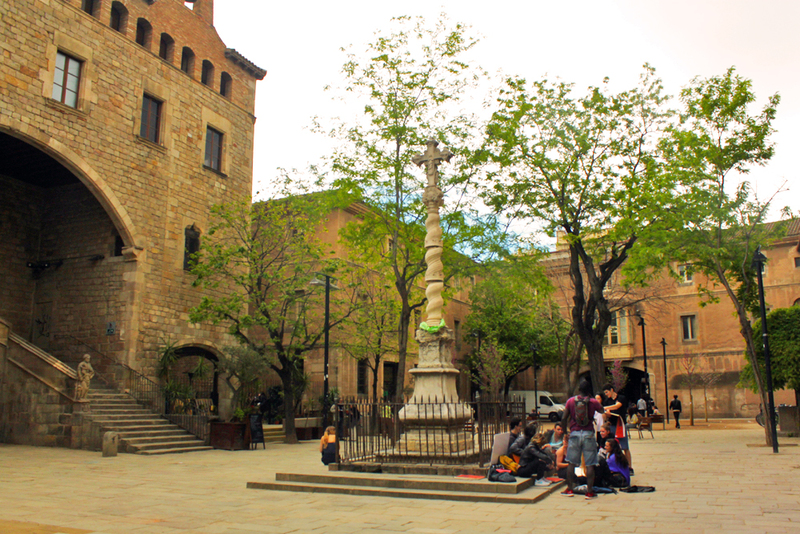 The Raval has always been a bit different, starting from medieval times. Back then, it was a series of fields and a few scattered buildings placed outside of the imposing city wall. Things that weren’t required for everyday life, like hospitals and convents, were put here. Sometime in the 14th century, it was encircled by a newer, larger wall, and those fields started getting filled in. By the 19th century, things really got going because of the Industrial Revolution – factories were built in the district, and people started moving in. The old city wall was demolished to make more space for the quickly growing working class population that came from all over the world. Today, it’s still very diverse; that hasn’t changed. But it’s almost impossible to imagine that this jam-packed neighborhood was once fields. I saw drawings of what it would have looked like compared to today, but some part of my brain still wouldn’t fully believe that I was looking at the same place. 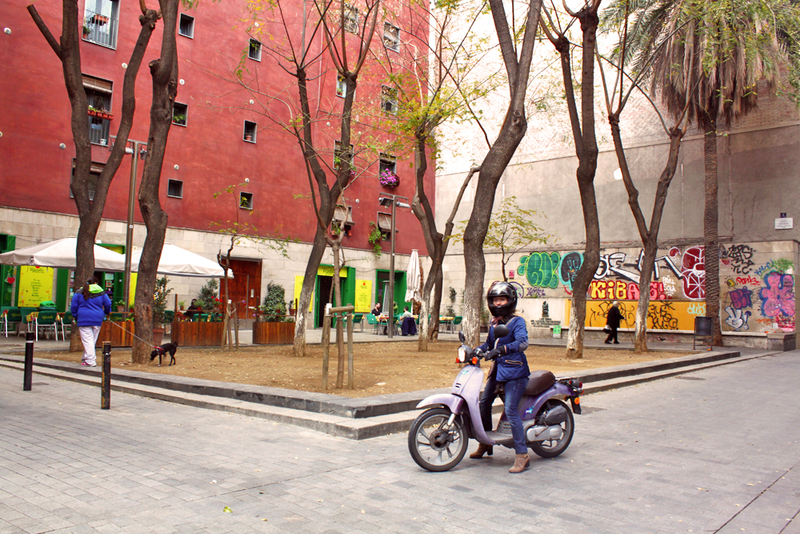 It’s definitely not on the outskirts of the city anymore either; the modern Raval is decidedly part of the most central part of the city. You don’t have to find a gate in a giant surrounding wall to get in anymore; you just have to walk a few steps away from the Ramblas. 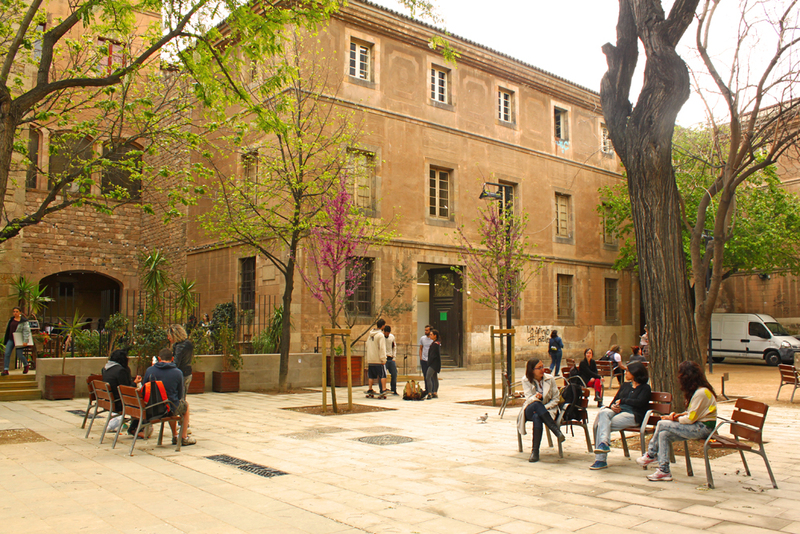 One thing that is the same, though, is that the Raval is still pretty different from its neighbors. This isn’t the boho-chic Born district, full of art galleries and trendy designer shops housed in old palaces. This isn’t the prettily touristic Gothic Quarter, just steps away on the other side of the Ramblas. 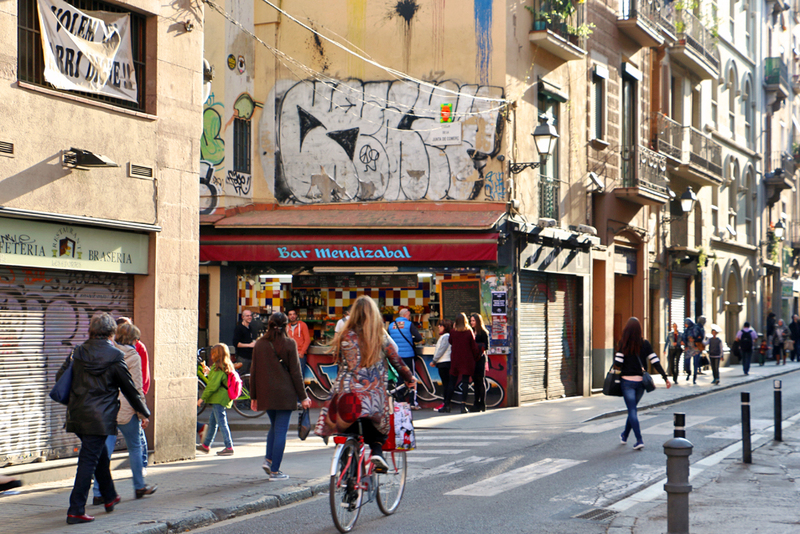 And it’s not one of Barcelona’s still-traditional neighborhoods like Gràcia either, even though its roots go back centuries, too. 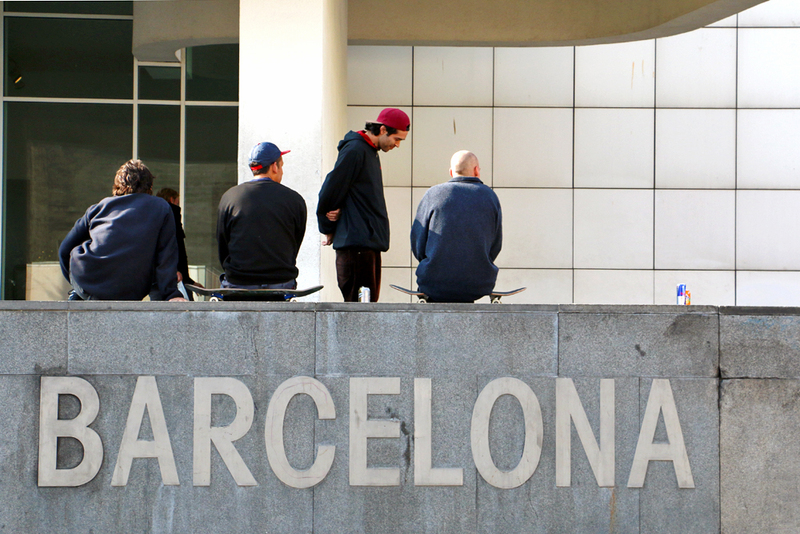 No, this is a vibrant mix of cultures that’s unlike any other neighborhood in Barcelona. About half the people who live here are immigrants, so you can find shops and restaurants that have all sorts of interesting (and delicious) food from all over the world. There’s also thriving skate scene. You have to be careful as you walk through the squares, because skateboarders come whizzing around the corners at any time. There’s a constant rattling of little skateboard wheels clattering over the stony streets. 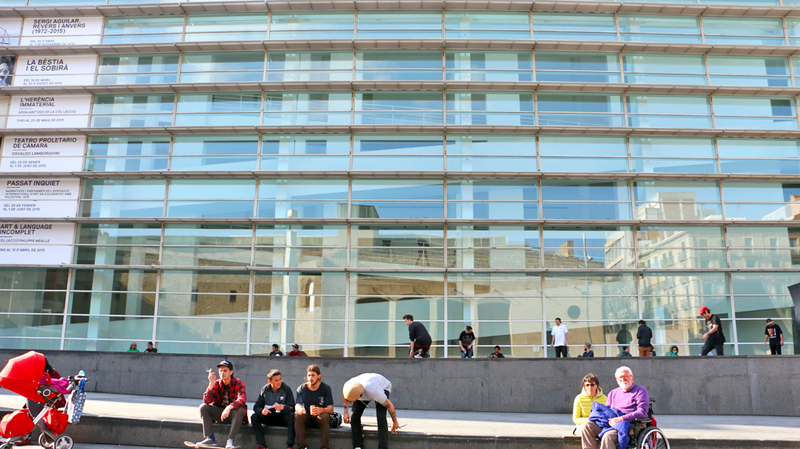 There’s no shortage of universities or art galleries either, whether they’re formal museums like the MACBA or just open spaces taken over by splashes of colorful street art. But apart from the artsy, quirky scene, there are some very beautiful hidden secrets that the Raval is hiding behind its shabby exterior. Occasionally you’ll peep through archways to see a tranquil courtyard with bright blue and white tiles. Or maybe you’ll see a beautiful secret garden, complete with gently trickling fountains. 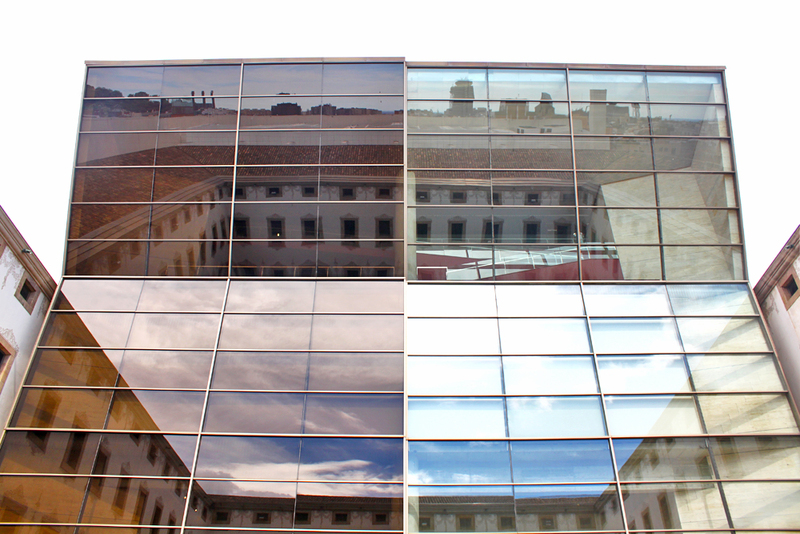 You can find an almost endless supply of spectacular architecture too, like a 15th hospital that houses an art academy today, the ultra-hip MACBA and CCCB art museums, and even a Gaudí palace. There’s always something new to discover here. 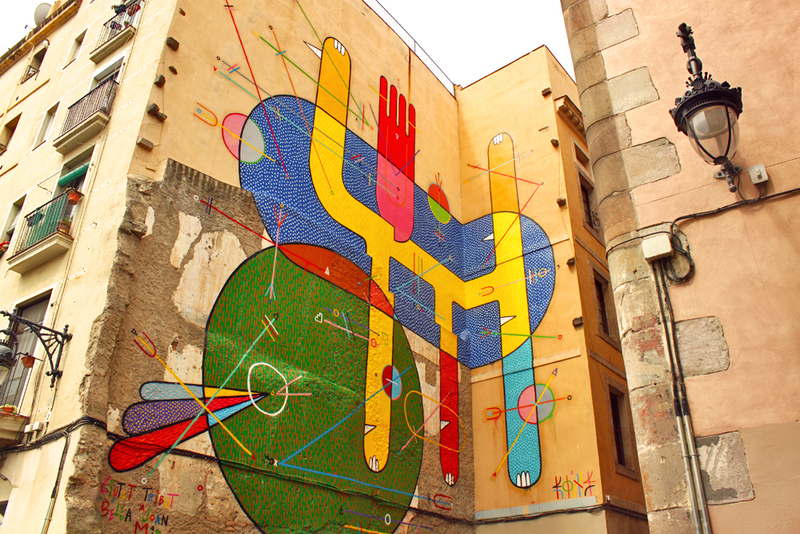 The Raval may not be glamorous on the outside, but it is without a doubt absolutely fascinating. 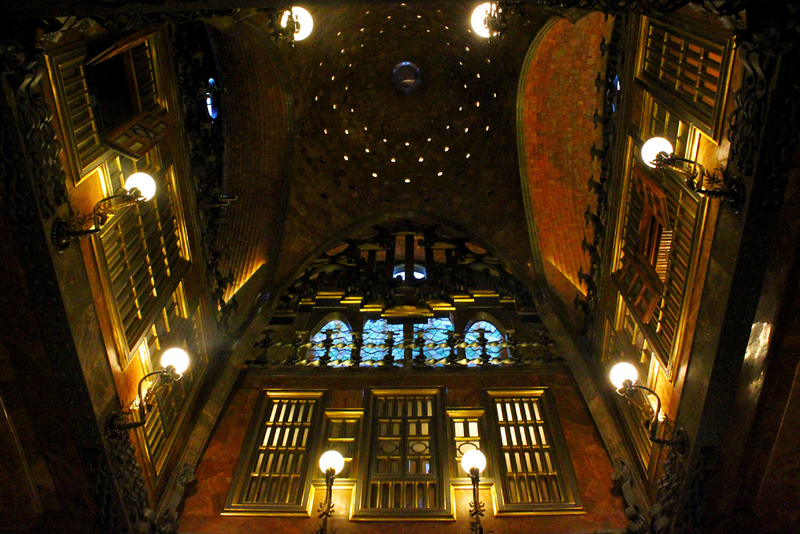 Thanks to Context Travel for a very informative tour of the Raval! I don’t think I’ve ever learned as much as a tour as I did with them. 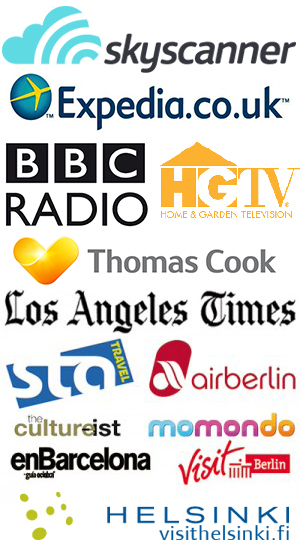 They’re ideal if you’re looking for an educational tour with a real expert. …I feel that, a lot of the time, there are always gems to be found in the most unlikely of places–perhaps The Raval is no different!! Certainly more to see than the unappealing dirty streets, especially when you get closer to the sea. Among the great restaurants, I like A tu bola, Cera 23 and Never More. Madame Jasmine and Lliberteria are great bars. 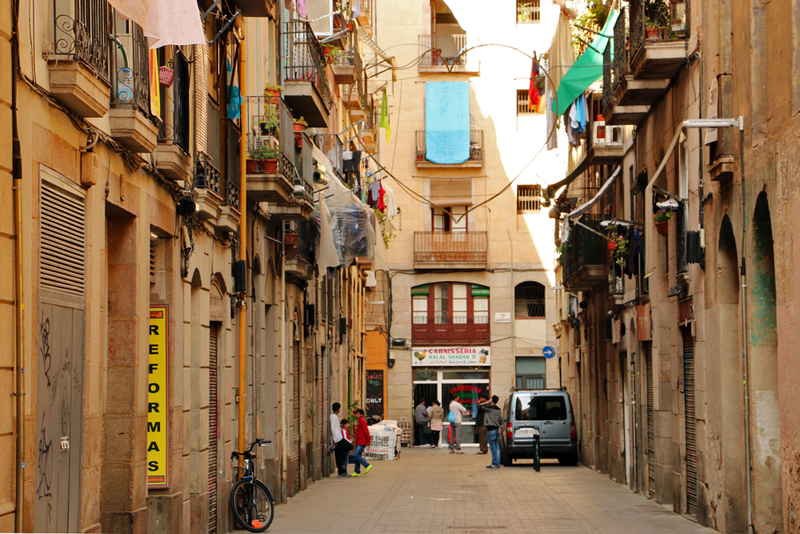 For me, El Raval is still an interesting neighborhood to wander in, but I prefer living in a slightly (just slightly) more decent area: Sant Pere, which is a mix of old Catalans, European and third world immigrants. I am obsessed with A Tu Bola! They just announced on Instagram that they have a new menu, by the way haha. Sant Pere is really cool too. 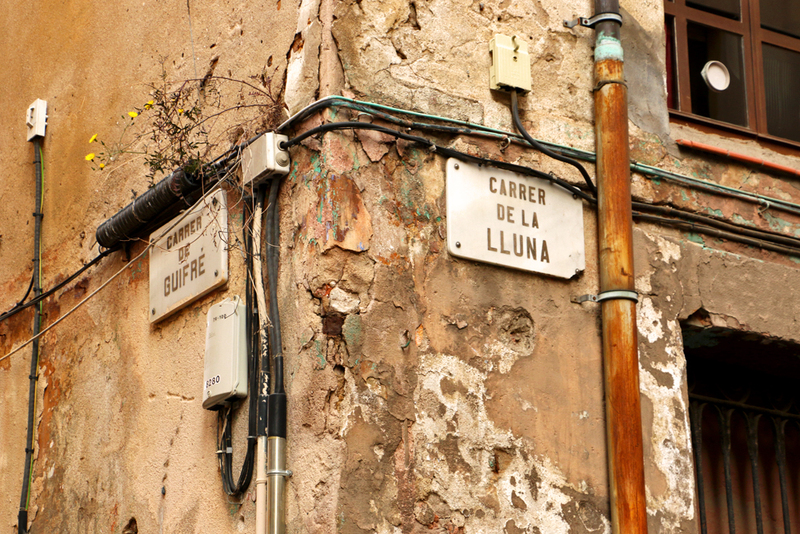 I think I’d prefer to live there over the Raval as well.